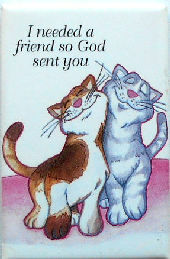 The message on this little cat magnet is "I needed a friend so God sent you". 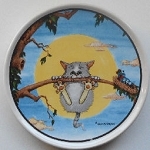 This magnet is 1 3/4" wide x 2 3/4" high. Previously owned but in good condition.